Graduating from the bottle is a major milestone to celebrate - having baby sit with you at the dining table and eating together is a wonderful feeling! But here comes another challenge: messy feeding sessions. It doesn't matter how or where you feed your baby - there's bound to be a mess created where more food ends up on the floor/table/baby's clothes than in his/her mouth. And that's perfectly fine and normal. Babies are curious and they like to touch and explore their food which help with their sensory development, so it's actually a good thing! What you can do is to minimise the mess on the floor by having a baby high chair. Don't underestimate what it can do - a good baby high chair is going to make your life so much more convenient. For once, food is not going to fly everywhere (which is a pain to clean up, to be honest) as baby is strapped eating in one place, and a good high chair will be able to trap in more fallen food, so there is less to clean up! 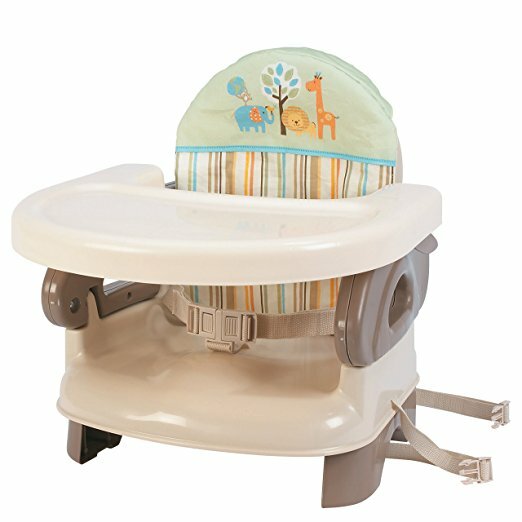 When it comes to the best high chair for table, Graco's TableFit Baby High Chair is the best choice out of all. It is also the best high chair with wheels for anyone that is looking for a high chair that comes with wheels. This unique baby high chair is designed to fit a variety of tables from dining room tables to kitchen tables or even countertops. Yes, it is the high chair for high table because with the 8 height positions, you can certainly find one that enables you to slide it right up to the table for a perfect fit. The tray or frame will not obstruct it from doing so, thanks to the front of the highchair that slopes gently to the front and the special tray design. You can also start early with the TableFit when baby is still bottle-feeding as there is a three-position recline where you can position him/her correctly for feeding sessions (the best reclining high chair). 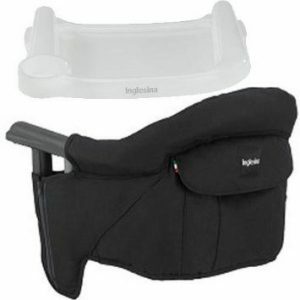 The infant body support will keep baby comfy and supported and this can be removed when your child is older. When baby is older, simply adjust it to a more upright position and it makes for one comfortable high chair for baby. What we really like with this adjustable high chair for babies is that you can do all these adjustments single-handedly with the one-hand harness adjustment feature. 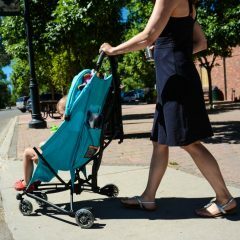 It also comes with other essentials such as a convertible 3 & 5 point harness to keep baby securely fastened, a removable compact snack tray and a footrest for baby. 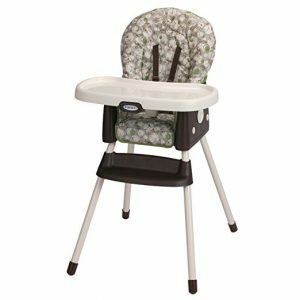 Being one of the best height adjustable high chair in the market, the Graco TableFit Baby High Chair is not just the best infant high chair, it is also one of the best easy clean high chair with the wipeable and machine-washable seat pad. And it folds up compactly in an upright position for easy storage! it’s been designed to fit a variety of tables, from dining room tables to kitchen tables to kitchen countertops. The gently sloping front of the highchair and special tray means that your child can be at the table’s edge, unobstructed by a bulky tray or frame. If you're one that dislike having a large plastic object in the form of a high chair at your home, then the Abiie Beyond Wooden High Chair is the best wooden high chair that will blend seamlessly with the rest of your furniture. This piece is one of the best rated baby high chair from both parents and baby industry alike and it is not hard to see why. It features a patented design whereby the seat can be transformed to any height position from infant to toddler and even to a dining chair. The best thing is, all these can be done in less than 20 seconds and no tools are needed at all for any adjustment. 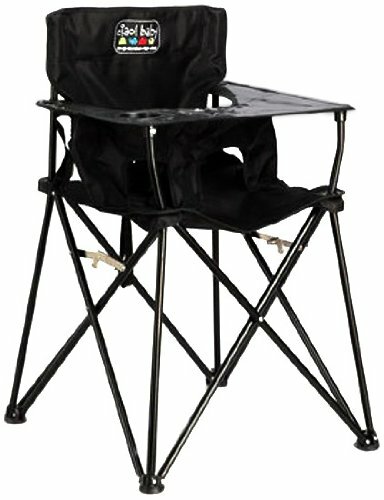 It's economical and instantly provides an extra chair to your home when needed. It is also one of the sturdiest high chair in the industry, not just because it is made of wood but because of its special design. It is constructed in a way that no matter how active your child is, it will not tip over - it won't even move from its position. This makes it one of the best baby chair for parents with special needs children. Features wise, it has a dual restraint system in the form of either a 5-point or 3-point harness that can be used without the dining tray. The cushions are stain resistant meaning a quick wipe with a damp cloth will remove any mess and its waterproof material will keep unexpected spill off without absorbing it. What we really like about the Abiie Beyond is that it is locally made from cultivated beech wood which not only is it very eco-friendly to the environment but the chair is therefore also recyclable and biodegradable. No harmful substances are used and the wood goes through high level of heat sterilisation process to make sure it is safe and hygienic for your little one. The Abiie Beyond Wooden High Chair is truly one best high chair for infant to toddler that you will not regret getting. The scratch resistant wood finish will last a lifetime and won't damage the floors, and the 3-year manufacturer warranty should give you peace of mind. The stain resistant cushions make cleaning a breeze. Just a quick wipe with a damp cloth will remove any mess or dirt left by your child. The cushion is water proof so unexpected spills aren't absorbed. Made from a patented foam composite for extra comfort, the removable cushions aid in the cleaning and lock into the seat like puzzle pieces. Different colors are available so you can continously update your look. The scratch resistant wood finish will last a lifetime and won't damage the floors or chair as its moved around the house. Using the click on plastic tray cover is recommended, however the wood tray can also be used on its own. The plastic cover is dishwasher safe which is a bonus for busy parents. For parents that want a little more use out of their baby high chair after baby no longer needs the high legs assistance, Evenflo Convertible High Chair is the best 3 in 1 highchair for you. By itself, it looks like any ordinary high chair that you can find in the market. While you cannot adjust the height of this one, it is positioned in a standard height whereby it allows comfortable and interactive feeding sessions between parent and child. The biggest attraction of the Evenflo Convertible is definitely its versatility beyond the infant years. You can easily remove the chair from the tabletop and convert it to a "my time chair" where baby can place their feet firmly on the ground. This can be done when baby is around 8 months of age and if you happen to need to feed him/her while sitting on the floor. Once baby grows to feed more independently, you can remove the tray to make it the right size table and chair for your toddler. This position gives him/her a great environment to dine and play independently, and in a safe setup. Because of this, we think it is one of the best high chair for toddlers. It is different from both the Graco TableFit and Abiie Beyond in that although these grow with your baby, they will still need to be seated at the dining table whereas the Evenflo Convertible High Chair creates a full independent dining set for your little one. 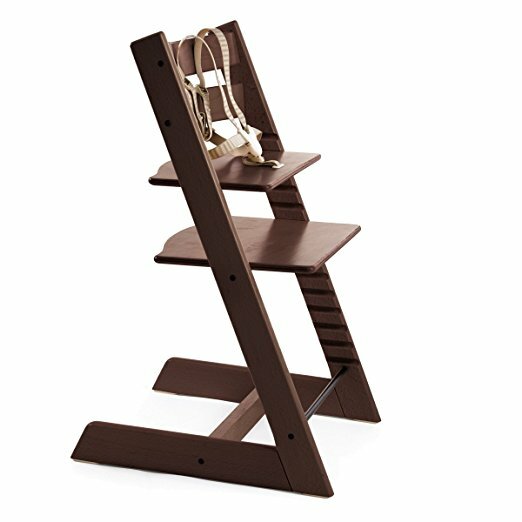 High chair: stacked to create a full-size high chair, this position offers a perfect height for interactive feeding between caregiver and child. Most of the times we want to fold up our baby high chair when baby is done feeding (especially when space is limited) and sometimes, we just couldn't be bothered removing this and that before we can fold up a plastic high chair. If this is you, the Cosco Simple Fold Deluxe High Chair is the best fold away high chair you're looking for. Sometimes we just couldn't be bothered removing this and that before we can fold up a plastic high chair. This no-nonsense design allows you to fold it quickly and compactly with no need to remove the tray. Once folded, it stands on its own which makes it simple to store or take along on the go. Likewise, you can set it up in just seconds as easily as you fold it away. It has other features like any good highchairs for babies - wipeable seat pad that makes it easy to clean, a 3-position adjustable tray with a dishwasher safe insert and a 3-point harness to keep your child secured. Do note that it is limited for use up to 50 pounds only, so this is not the best high chair for older child. We understand the loud print (Monster collection) is not for everyone so here is an alternative of the same design but with more easygoing prints (it's cheaper too!). 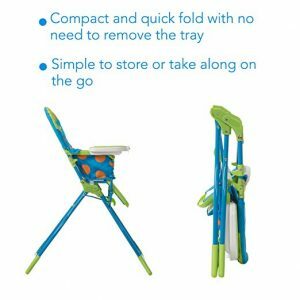 All in all, if you are looking for the best folding baby high chair, the Cosco Simple Fold is the one for you. 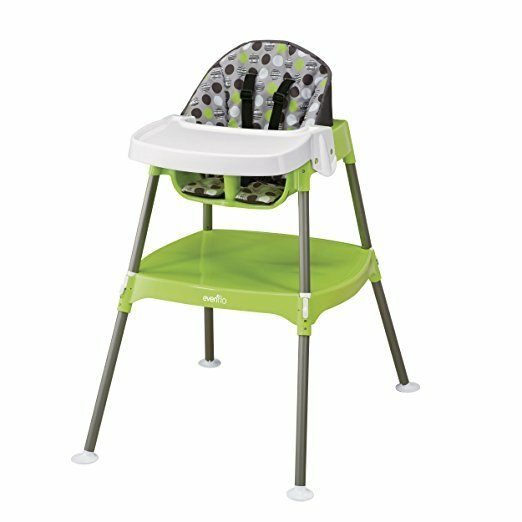 The Fisher-Price SpaceSaver High Chair is the best high chair for small spaces. 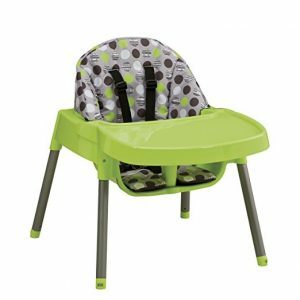 This type of high chair is growing in popularity because a lot of parents do not like to have an extra bulky item in their house, especially when house is not relatively big. convert from a space-saving high chair to a comfortable, height-adjustable 'big-kid' booster seat. Just remove the Luminosity seat pad, the tray, and the seat back! Five-point high chair restraint converts to a 3-point restraint for booster seat use by children up to 50 lbs. This high chair is meant to be placed on top of your dining chair, or any chair really as you can attach it securely with the adjustable attachment strap system. Instead of sacrificing floor space, all you need is just sacrificing one chair or if really need be, you can remove it easily from the chair once you're done feeding. 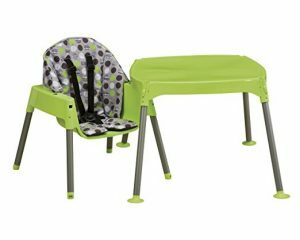 Do not be fooled by its size - it has all the features of a standard full-size high chair and so much more, such as a link that lets you hang your bibs, towels or even toys. The three-position recline allows you to feed baby comfortably even when s/he is still bottle-feeding, and the tray will stay level even with the seat reclined. Despite its size, it has two height adjustments to let you choose the most comfortable height for feeding and the one-hand removable tray is dishwasher safe. The seat pad is made from Nano-Tex fabric that is spill and stain resistant, in addition to being machine-washable. Like most high chairs recommended in our high chair reviews, the Fisher-Price SpaceSaver grows with your child too. You can convert it to a comfortable, height-adjustable toddler booster seat simply by removing the seat pad, tray and seat back but do note that it has a weight limitation of up to 50lbs. 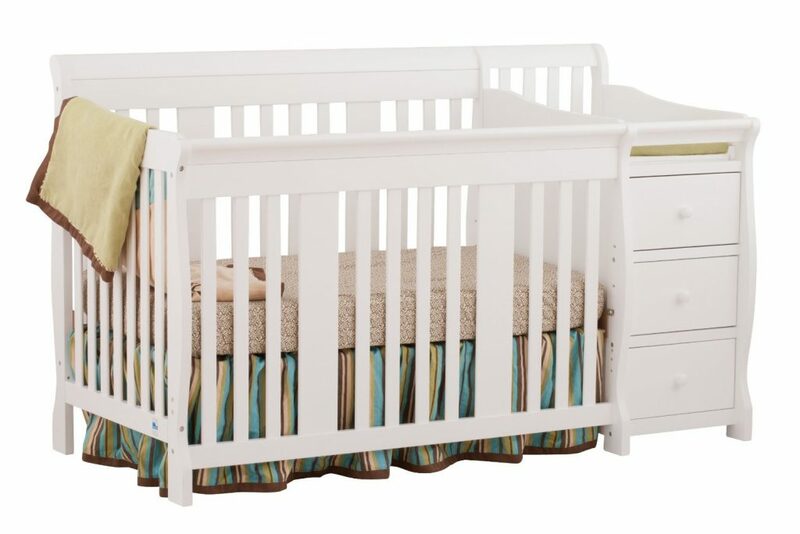 The 5-point and 3-point restraint will secure your little one in both baby and toddler stage respectively. There are many high chairs for small spaces available in the market but in terms of quality and affordability, not to mention functionability, the Fisher-Price SpaceSaver High Chair is the one that we'd highly recommend. While you can certainly use the Fisher-Price SpaceSaver High Chair as a booster seat for chair for your toddler, we thought you may want to have another choice in terms of choosing the best booster high chair. 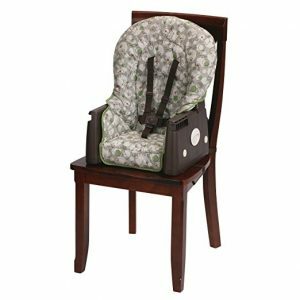 The Summer Infant Deluxe Comfort Folding Booster Seat is one of the best rated high chairs which continues to be a number 1 bestseller for many years. And with a price point like that, it's not hard to see why. It's probably the best cheap high chair you can find in the market (under $20!) but quality and functionality are not compromised in this one. This 2-in-1 is both an infant feeding seat with tray and toddler booster seat at table with two adjustable height levels to accommodate your growing child. What we like about the Summer Infant over Fisher-Price is that the former can be folded neatly as that pictured on the left for ultra compact storage. This is really a plus point especially for those that do not want a piece of bulky plastic within eyesight after baby is done feeding. And it makes for great portability too, say if you bring baby over to grandma's house. 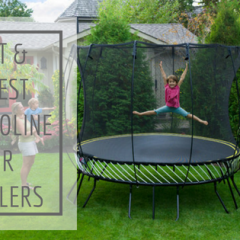 Other features include a full sized dishwasher safe tray that is adjustable in 3 positions and a 3-point restraint system with chair straps to secure the booster to chair. Oh, the seat pad is removable and machine-washable too! 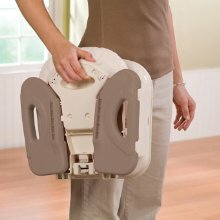 Overall, the Summer Infant Deluxe Comfort Folding Booster Seat is one of the best baby booster seat high chair for those that do not want the traditional high chairs. 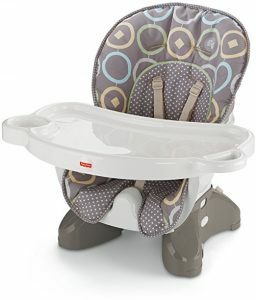 It is also a good choice for those looking for the best inexpensive high chair because really, there isn't any other high chair that is quite like it, price point wise. The full sized dishwasher safe tray adjusts to 3-positions allowing room for your baby to grow. If you do not fancy booster seats like the Summer Infant Deluxe Comfort but are looking for a more affordable traditional type of high chair, then Graco Simpleswitch Portable High Chair & Booster is the best cheap high chair for you. This is the best simple high chair that you can get at a very affordable price and it has everything you need in a high chair, and more. It is a 2-in-1 portable high chair that converts to booster mode when your child is ready. The 3-position reclining seat will ensure you find the most comfortable feeding position for your little one. Not every high chair comes with this function and it is a delight to have it in this one, especially at such a price point. The seat pad is machine-washable and the feeding tray is removable (with one hand) to get your child in and out of it easily. What we really like about the design is that it features leg storage right on the booster. This means that you can keep all of your high chair's parts together when you transition it to booster mode. For a simple high chair with so many features, the Graco Simpleswitch Portable High Chair & Booster is the best inexpensive high chair that you will love. This smartly designed foldable high chair features leg storage right on the booster. This means that you can keep all of your high chair’s parts together when you transition to booster mode. We've talked about the most affordable high chair, let's now see what is the best high end high chair the market has to offer for those that are looking for one. The Stokke Tripp Trapp Highchair needs no explanation - it is perhaps one of the most well known high chairs that many lust after, and it is also one of the most expensive high chair there is in the market. This is a chair that truly grows with your child. You can say that it is the pioneer of adjustable high chairs (hence the creation of this and this) as the Tripp Trapp is an ingenious highchair that revolutionised the children's chair category as early as in 1972 when it was first launched. Both seat and footrest are adjustable to the size of your child from approximately 6 months to adulthood and a five-point safety harness is provided to keep your little one safe and secured. The ergonomic design as well as the utilisation of cultivated beechwood ensures it is strong, sturdy and stable at all times so it gives you the confidence that it will not tip over even if your child is very active. With this high chair, your little one can fit right up to your dining table without having anything obstructing in front. The intelligent design allows you to freely move the seat and footplates to find the right depth and height so that your child can sit comfortably at any age. When he no longer needs the height boost, all of you will be able to sit on it as a regular chair as it holds up to 300 pounds. If you have the budget to spend, we'd definitely recommend getting the Stokke Tripp Trapp Highchair as it is truly the best high chair you can get. If you think about it, it is really not that more expensive than the rest considering you can use it for a lifetime, and its quality is second to none. If you want to bring your own high chair when you go for travels (or simply going to a restaurant), the Inglesina Fast Table Chair with Dining Tray is a perfect choice. This high chair has a tubular structure in painted steel and it adopts a universal twist-tight couplings system that is adaptable to mots types of tables. All you have to do is just attach it to your table and twist it tight. Don't worry it will not scratch your table. You can then put your little one in and the lifted backrest and firm seat will give him great comfort. Whilst it is the best collapsible high chair, do note that there is a weight limitation from 6 to 36 months (up to 37lbs). Considering how lightweight it is, we think it is pretty impressive how durable the Fast is. If none of the above recommended space-saving high chairs are of satisfactory to you, why not get the Inglesina Fast Table Chair with Dining Tray (without here) to use it at your home? It is truly the best baby high chair for small spaces - it cannot go any smaller than this! Other similar designs but at a lower price point can be found here and here. The Inglesina Fast is good in its own ways in terms of portability, but it does have one limiting factor - you have to have a table to attach it to, otherwise, it is pretty much useless. What about if you need a portable high chair where there's no table? 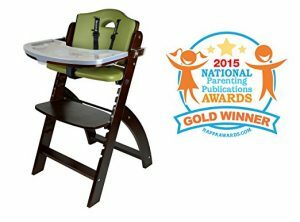 The award-winning Ciao Baby Portable Travel High Chair is the best high chair that is both portable and practical. 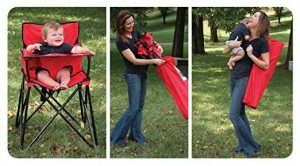 No assembly is required with this one - it comes in just one piece that easily unfolds, locks into place and folds back up in seconds. And it certainly does not require you to attach it to a table or any surface. It weighs only at 8 pounds and comes with a carry bag so it is very easy to carry around with you. Aside from a 5-point safety harness, a lap belt is also incorporated to keep your child safe and secure. And because it foresees a lot of uses outdoors, waterproof materials are used to give parents an easy wipe-clean experience, including the vinyl tray with cover and built-in cup holder that is provided. This is the best baby high chair for any situation, any destination - picnics, travel, camping or even trips to grandma's house, you name it. It can hold up to baby's 3 years, so the Ciao Baby Portable Travel High Chair is the best portable high chair that you can rely on! comes with a carry bag for extra portability. Now that you have read our Top 10 best baby high chair reviews, you should have an idea of which high chair to buy. If you're still confused, perhaps the following guide will help you make the right decision. We don't mean the feeding purpose (heck, that's the very reason you're considering a high chair, isn't it?) but rather, think of how you're going to use your high chair. Is it going to be a stationary piece at your dining table? Or you would prefer to stow it away after each use? Do you need to move it around often? Will you be travelling with baby? If you have a spacious dining or kitchen area, this shouldn't be too big a factor to you as any high chair should fit. It is those that have limited space i.e. apartment-living families that are more concerned about saving ground space the best they can. If this is you, this and this are good choices to consider. Do you want a high chair that can bring you from infant to toddler years? 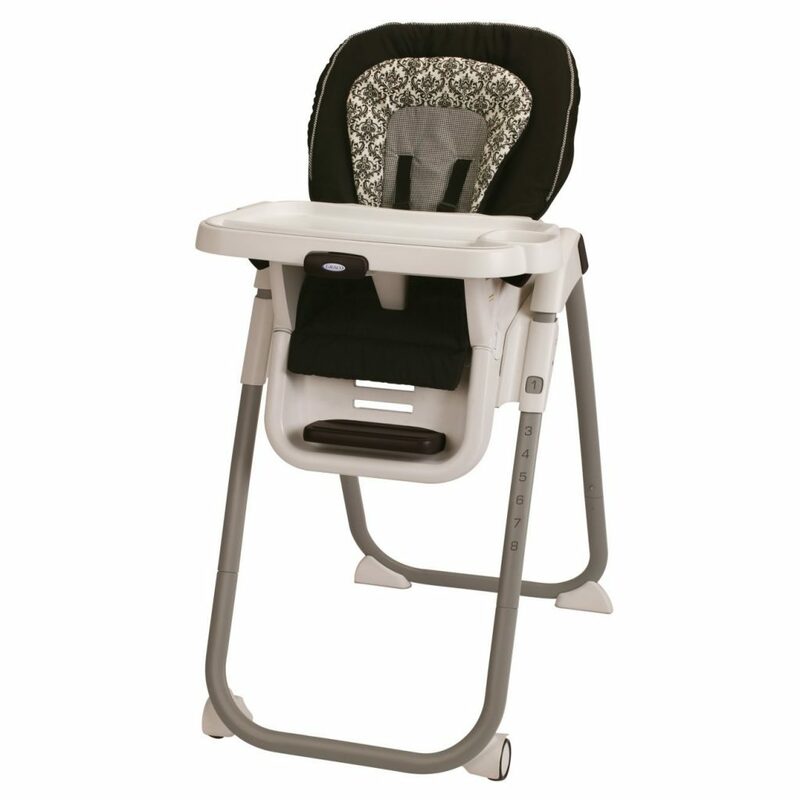 Convertible high chairs like this or height adjustable ones will suit your needs. Otherwise, you may prefer to stick to a traditional high chair, then buying a booster seat separately when your child grows older. You will want your high chair to be strong and sturdy that can handle even the most active child. All the highchairs recommended in our best high chair review above are strong and durable and they won't tip over easily. You may like beechwood ones like this or this if that will give you extra peace of mind. Price will always be a deciding factor. 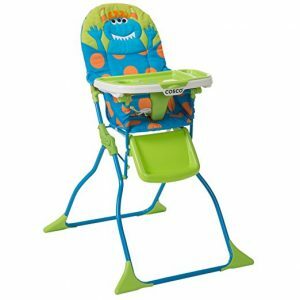 The high chairs included in our best high chair review above range from a price as low as this to solid investments like this so you can be sure to find one that suits your budget best. This includes features such as recline-ability, ease of cleaning, restraints, wheels and so forth. Most high chairs, if not all, are easy to clean nowadays with their waterproof and stain-proof material and they all (at least the good ones) come with 3-point or 5-point harness (or both) to keep your little one safe and secured. Before you go, why not check out other feeding essentials you should have in your kitchen for your little one? A good baby high chair is going to make your life so much more convenient. For once, food is not going to fly everywhere as baby is strapped eating in one place, and a good high chair will be able to trap in more fallen food, so there is less to clean up. Read and compare and find the best high chair deals for this upcoming Black Friday or Cyber Monday!